The Bega Valley Suicide Prevention Action Network (SPAN) Inc. 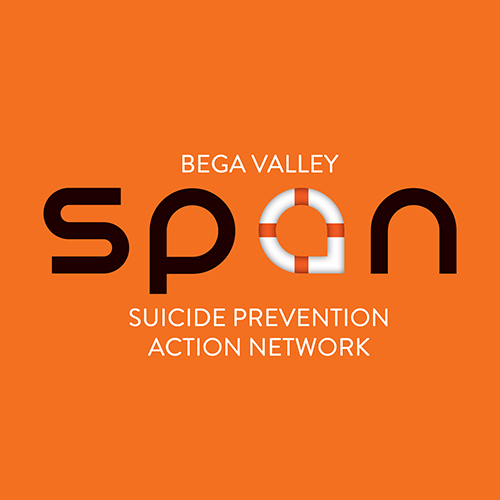 The Bega Valley Suicide Prevention Action Network (SPAN) was established in 2010 as a result of community concern around suicide. SPAN members include service providers from a variety of settings as well as community members with lived experience of suicide in their families, workplace or friendship groups. SPAN members are volunteers who work together to use their knowledge, experience and commitment to help reduce suicide in our community and to facilitate better support for those bereaved by suicide. The network believes that most suicides can be prevented and that everyone has a role to play in suicide prevention. There is a strong focus on awareness raising as well as reducing the stigma associated with mental illness and suicide. SPAN promotes positive mental health messages and facilitates partnerships which enhance community connectedness and wellbeing. Together with mental health services, SPAN helps to develop better integrated support services so that people do not fall through cracks in the system. SPAN has no regular source of ongoing funding so relies on small grants and donations from community organisations, businesses and individuals. SPAN was incorporated in 2016 and has now achieved recognition as a Health Promotion Charity and Deductible Gift Recipient. Donations of $2 and above are tax deductible. Distribution of SPAN Crisis and Community Information Cards, Tree of Life Cards, Pamphlets, also Prevention Information Packs for families of people at risk of suicide and Postvention Information Packs for families after suicide loss. Mental health education and training courses and workshops for community members to help them recognise and better support people going through tough times. Information stalls at markets and other public events to raise suicide awareness, provide information about available services and referral if needed, promote training courses, provide a self-care check point, and facilitate open discussions on mental health wellbeing or concerns people have. These events also provide an opportunity for bereaved people to talk with SPAN volunteers about their loved one or their suicide-related experience in a non-judgemental and compassionate setting. Liaison with Grand Pacific Health regarding support services for people bereaved by suicide. Community outreach engaging people with higher suicide risk in information sessions and supportive conversations. 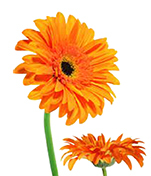 Promotion and coordination of a range of World Mental Health Month activities. Holding an annual “Walk with Us” remembrance and mental health awareness walk in October. Provision of Guest Speakers to raise awareness or suicide and SPAN, reduce stigma and to provide guidance in “What Can I Say and What Can I Do?” to help people and families at risk of, or bereaved by suicide. Increasing mental health resources in Bega Valley Libraries and other community places. Raising awareness around mental health and suicide with the local media. Continuing to develop relationships with key services, community groups and businesses. Provision of BVSPAN Facebook Page. Management of a SPAN Email Contact Network to facilitate sharing of information on mental health and wellbeing matters among services and interested community members - includes relevant news articles, details of upcoming events, available services, and SPAN activities.